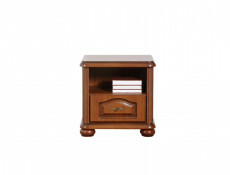 Natalia furniture range offers Bedside Table. 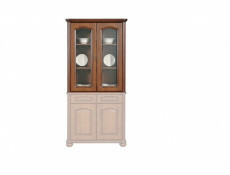 - Decorative handles and carved and pressed elements emphasize the timelessness of this piece. 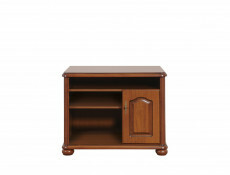 - Open shelf and a practical drawer are great for storing your favorite book or personal trifles. 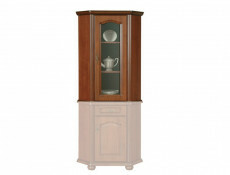 - Compact dimensions will make the cabinet fit into even small bedrooms. 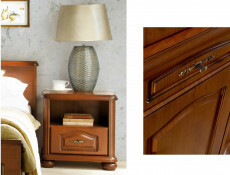 - When combined with a Natalia system bed it will create a great duo, that will look great in any classical bedroom. Large number of elements in different sizes and functions allows you to arrange your living space the way you want. - Stylish mirror is a part of the modular Natalia collection, created for enthusiasts of classic interior design. 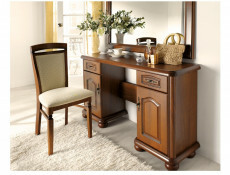 - Carved frame decorations give the mirror its unique look. - Hanging on the wall it will make the room seem bigger. 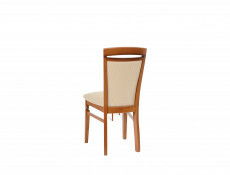 - It will be a great addition to a living room, dining room, bedroom or office. 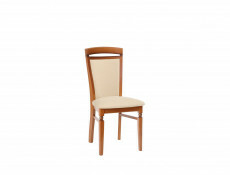 - The modular Natalia system has been created for enthusiasts of classic interiors. 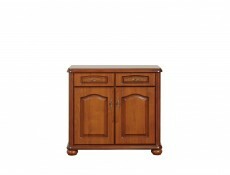 - Impressive decorations on the legs give this piece of furniture unique look. - Table top has a protective layer that increases its resistance to scratches and mechanical damage, allowing you to enjoy its fresh look for longer. 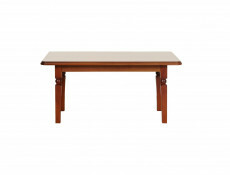 - The coffee table will look great in a living room or an office. Large number of elements available within the Natalia collection allows you to also completely furnish a dining room and bedroom. 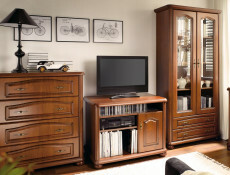 - Modular Natalia collection will meet and exceed the expectations of fans of classical style and functionality. - Pressed and carved decorations create the unique look and emphasize the timeless character. 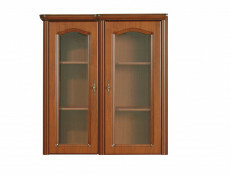 - Five open shelves can be used for a home library or as a display area for your decorations. 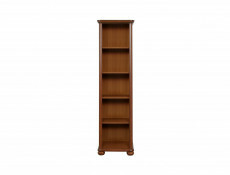 - Compact size allows you to fit the bookshelf even into small interiors. 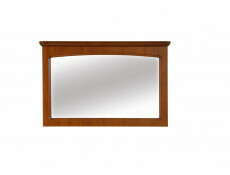 - It will look great in your office, bedroom, living room and dining room. Wide range of modules of different functions increases your ability to arrange the interior the way you want. 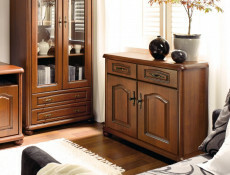 - Timeless character of the furniture is created by combining carved and pressed decorations and elegant handles. 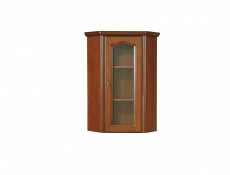 - Cabinet interior is made up of three spacious shelves. - Ergonomic shape of the drawer will let you practically utilize its interior and save up a lot of space. - Smooth operation of the fronts and ability to adjust them in three planes is ensured by brand name hinges. - The front is right handed. - The extension will go great with the Natalia system (KOM NAR 60 P) drawer. When combined with other elements of Natalia collection it will become part of unique living rooms, dining rooms, offices and bedrooms. - The front is left handed. 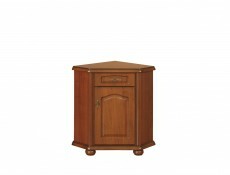 - Drawer interior is made up of two spacious shelves and practical drawer for small items. 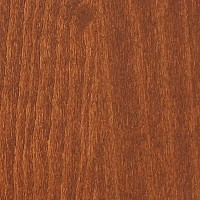 - The drawer will look great in a classic interior. When combined with other elements of Natalia collection it will become part of unique living rooms, dining rooms, offices and bedrooms. 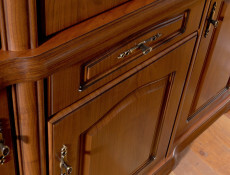 - The drawer will look great in a classic interior. When combined with other Natalia collection elements it will become allow you to create unique living rooms, dining rooms, offices and bedrooms. 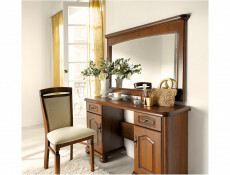 - Natalia furniture collection has been designed for enthusiasts of classical style and functionality. - Unique look of this extension is achieved with carved and pressed elements and decorative handles. 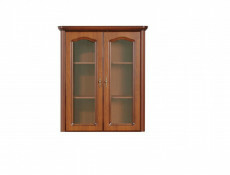 - The interior contains three spacious shelves. - Glass fronts create the air of lightness, and allow for displaying your decorations, while protecting them from accumulating dust. 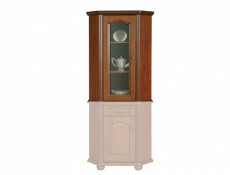 - Glass-door cabinet will go great with other elements of Natalia collection. Wide range of elements of different functions will allow you to fully furnish your living room, dining room, bedroom and office. 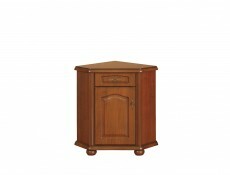 Wide Chest of Drawers with 3 drawers in Primavera Cherry wooden effect finish from traditional Natalia furniture range. - Timeless character is created by pressed and carved decorations and unique metal handle, that makes everyday use easier. - Two cable ducts in the back of the cabinet allow for air circulation around electronics and let you guide cables easily. - Functional storage space is made up of two shelves hidden behind the front and three open shelves ideal fort storing audiovisual equipment or DVDs. - Brand name hinges ensure smooth operation of the front and can be adjusted in three planes. 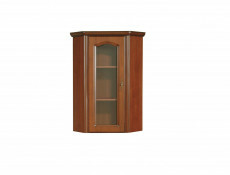 - The TV cabinet can be freely combined with other Natalia system elements. Large number of available modules of different size and function offers you the ability to individually arrange your living room, bedroom, office or dining room.